Menorca is the second largest of the Balearic Islands but only about a fifth of the size of its neighboring island Mallorca. It is much quieter and family oriented, picturesque and tranquil than most of the Balearic Islands. It is a lovely emerald green undulated island dotted with fascinating coastal towns, fabulous resorts and numerous stretches of sandy beaches and coves. Aside from its impressive coastline, it is bathed in history with an abundance of prehistoric structures and with its past connections with the British it has a wealth of archeological remains that will delight lovers of history. Undoubtedly the islands coastline is where activities are largely concentrated including sailing, golfing, yachting, scuba diving and horse riding. There are popular well developed beaches on the southern coastline with many having family friendly resorts and gently sloping sands perfect for kids. In the north however you are likely to come across impressive horseshoe bays and rugged coastal scenery. 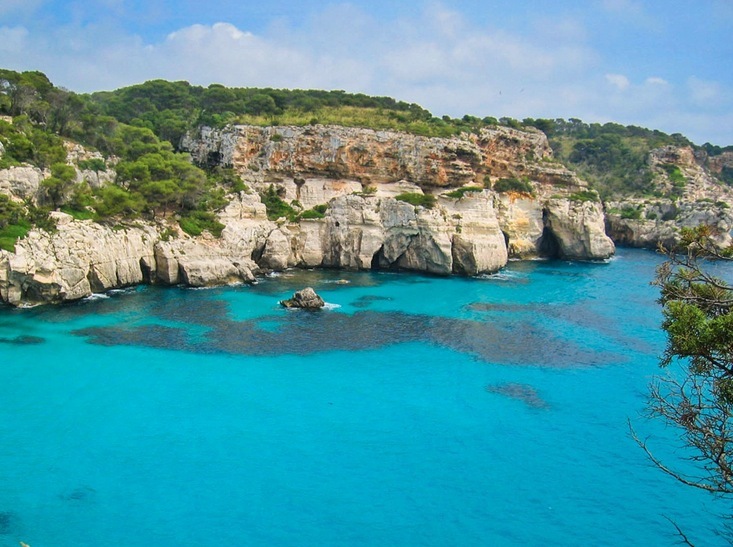 Whether you want to stay in bustling resorts or seeking an off the beaten path experience Menorca has it all. In this fascinating island villa stays come in all shapes and sizes, from 18th century converted English mansions to stunning retreats deep in the delightful countryside. Holiday rentals in Menorca do not disappoint, whether you want to stay right along the beach not to miss out on all the beach fun or perched on a hill in Torre Soli enjoying all the views, you will find the ideal spot for a villa holiday in Menorca. Cala Galdana resort is ideal for luxury villa holidays where you can have the best of both worlds.